Were you seriously injured in a workplace accident in Slidell or Greater New Orleans? The dedicated, conscientious Louisiana lawyer and workers' compensation specialist who can help you is Laurie W. Maschek, Attorney at Law, L.L.C. Laurie W. Maschek has used her years of experience and proven legal skills so well for her workplace injury clients in Louisiana that many of them look upon her as a friend and refer other injured workers to her practice. Her primary goal is always to maximize your injury and benefits claim and, above all, to see to it that you are treated fairly for your loyalty to your employer. Our full-service workplace accident law offices are all about convenience and peace of mind for you. For example, Laurie W. Maschek delivers quality legal services on a contingency fee basis; you owe no attorney fee whatsoever unless workers' comp benefits are collected for you. We offer free initial consultations and maximum availability to your issues throughout the legal process. When your case concludes, you, your employer and your employer's insurer will all know that your rights have been fully protected. Laurie W. Maschek's conscientious hard work and reputation for results have won the respect of those at the Office of Workers' Compensation. She has practiced and tried cases in every district encompassing every parish in Louisiana, and therefore, has come to know legal strategies of all major insurance companies and employers in the state. Don't allow your employer to replace you at your job simply because you were injured in the course of your duties. Don't allow your health to suffer and your family to go without income. Laurie W. Maschek went into the legal field for one reason: to help people. Help her to help you get the justice you deserve in the workplace by speaking with her immediately if you have been injured. 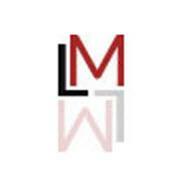 Laurie W. Maschek's experience can help you win.